1. You need paper, glue, scissors and template for a circle or a pair of compasses. 2. Draw and cut out 4 circles, diameter 18 cm. 3. Fold all of the circles in the middle and glue them together (see the photo). 4. Place the gift in the middle and close the envelope. Use your imagination and decorate it as you wish. 1. 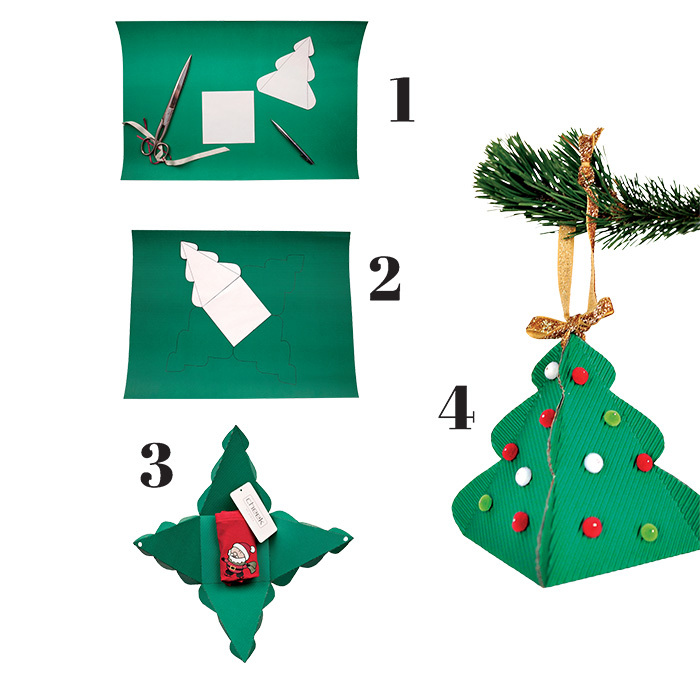 You need paper, glue, scissors and template for a square and Christmas tree. 2. 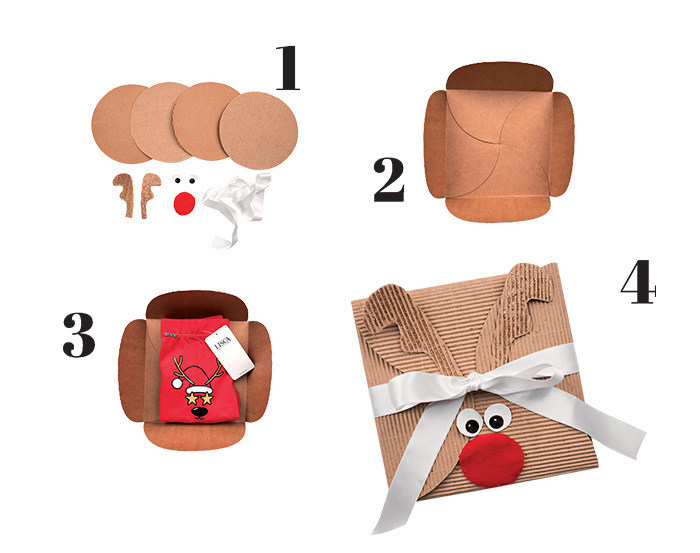 Square and Christmas tree serves you as a template to draw gift box. 3. Cut out gift box and fold by side-lines. 4. Place the gift in the middle and glue the box together. 5. Decorate it as you wish. You can put this gift box on a Christmas tree and use it as a decoration.